We’ve been hearing a lot about pod2g’s upcoming untethered jailbreak for all iOS 5 devices, but the latest blog post on the hacker’s site makes clear just how close to completion the jailbreak is for distribution. In fact, according to pod2g, it’s “near ready for prime time,” and to prove it he’s showing the jailbreak running on a stock iPhone 4. 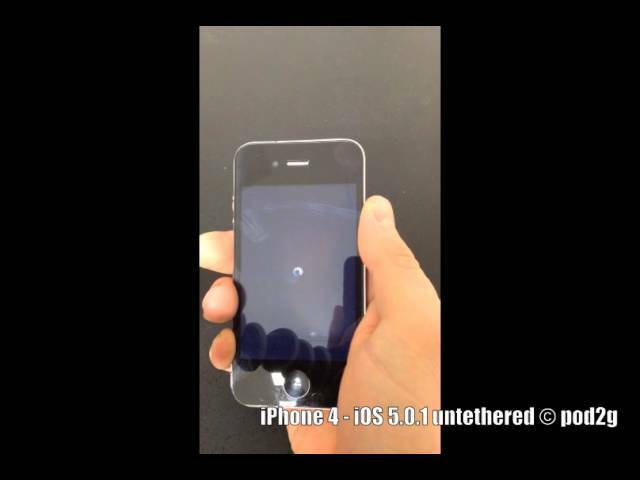 Here is a new video demo of the current status of the iOS 5.0.1 jailbreak running on an iPhone 4. This is meant to reassure people that were thinking it only works on older iPods. The jailbreak is near ready for prime time (excluding 4S and iPad 2). Patches are the same as redsn0w’s. Expect the same level of stability. Some more days to wait. Be patient, we’re doing our best.